A new technology-centric company, iSchoolSource created a unique web-based communication platform designed specifically for private and public educational institutions. After a successful pilot program at a Fort Myers high school, iSchoolSource came to Spiro & Associates to launch its brand and promote its business across the region and state. 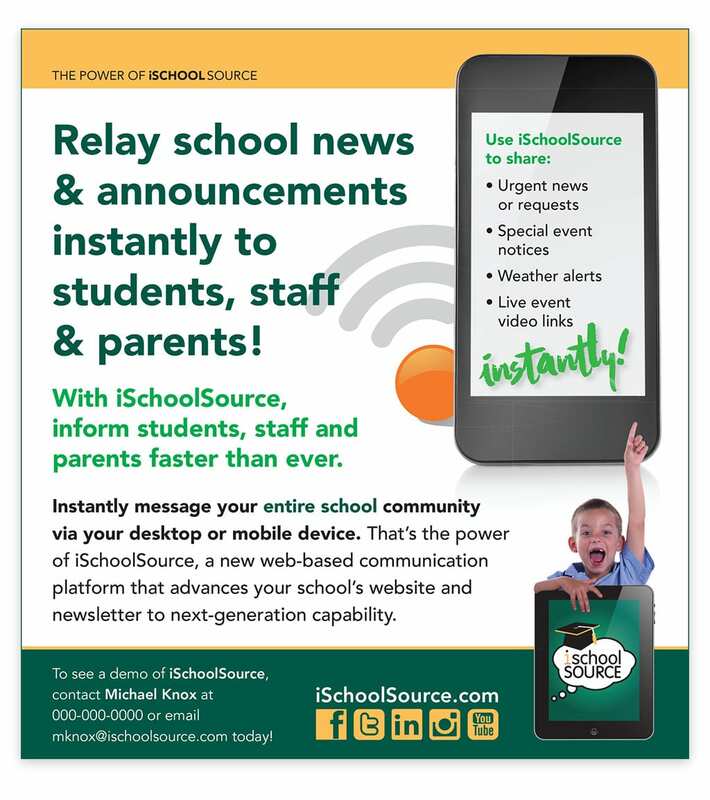 First, we created a logo to establish a graphic identity and friendly “brand personality.” Then we wrote and designed an e-mail blast that explained the nature of the iSchoolSource platform in a quick-and-easy way. We followed the e-blast with a high-energy, animated whiteboard video hosted on the company’s website to generate requests for in-person demonstrations.